Be First to Bet – Click HERE! The year is coming to an end and with it one of PUBG's biggest eSports tournaments is approaching, yes, you're not wrong, despite the great popularity Fortnite has taken in recent months, PUBG has not died and this tournament is proof of that. Tencent Games and PUBG Corporation join forces to bring PUBG Mobile Star Challenger 2018 to life in Dubai. Of course, you can find all the information relevant to this tournament here, in eSports betting, from betting odds, live streaming and teams. What do you expect? If you are a fan of eSports betting and this is the place for you! The PUBG Mobile Star Challenge 2018 will have 12 rounds, where the 20 teams will have to give the best of themselves to be able to add points based on their ranking and position in each round, and in the end, take the much-desired prize. 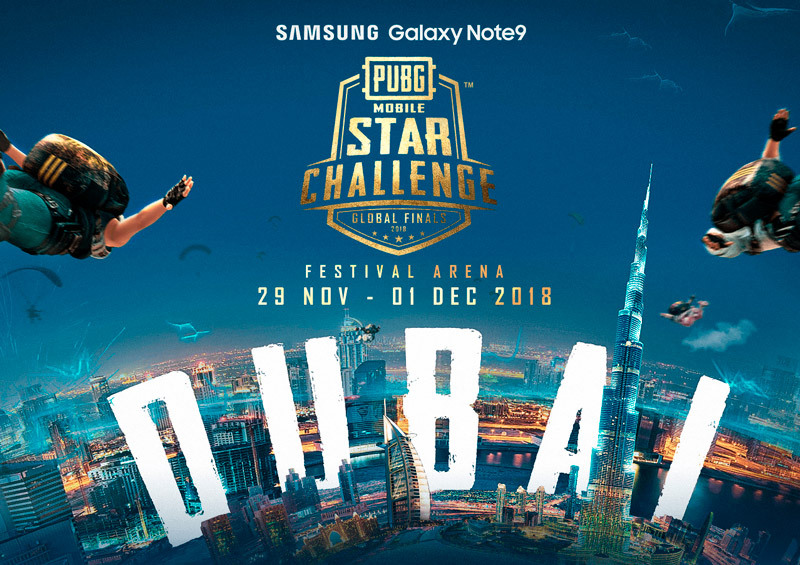 Each participating player will be playing with a Samsung Galaxy Note 9, awarded by the South Korean company for the grand final disputed in Dubai. At the time of publication of this article there are no betting odds available for the PUBG Star Challenge 2018, but this could change a few hours before the tournament begins, when bookmakers open their markets for all matches in this great event. Once the odds are available, you will be able to find a comparison of odds from various bookmakers and make your decision. Here you can find out who the teams of the PUBG Mobile Star Challenge 2018 will be and their respective players. Do you think any team has an advantage in this tournament? If so, demonstrate your knowledge and bet on that team. The grand final of the PUBG Mobile Star Challenge 2018 tournament will feature $400,000 USD in prizes to be distributed among all participating teams. The teams that make it to the top three places in the event will be awarded $350,000 USD between them. That's a pretty substantial sum, and the entire tournament, including the qualifiers, had a prize pool of $600,000 USD. So, I'm sure all the teams will want to take a slice of the cake, who would want to go home empty-handed? Luckily for us eSports fans, we'll be able to watch the tournament live on our website via Twitch, just click the play button once the tournament has started. Don't miss the PUBG Mobile Star Challenger 2018 action!